Today I'm going to answer the question: what is brain flu? I'm also going to give you a detailed overview of the influenza virus. I'll talk about the flu shot. Should you get it, should you not? And I'll also touch on viral meningitis. On the reality show Ready to Love, one of the handsome, charismatic, eligible bachelors was recently diagnosed with brain flu, according to his mother. On another reality show, Married to Medicine, one of the young, energetic physicians shared that he was diagnosed with viral meningitis. Ever since these episodes have aired, I have been getting questions from patients, family members, and nosy friends who love to binge watch reality TV, asking me, what exactly is the brain flu? And asking, can a perfectly healthy person really get viral meningitis? 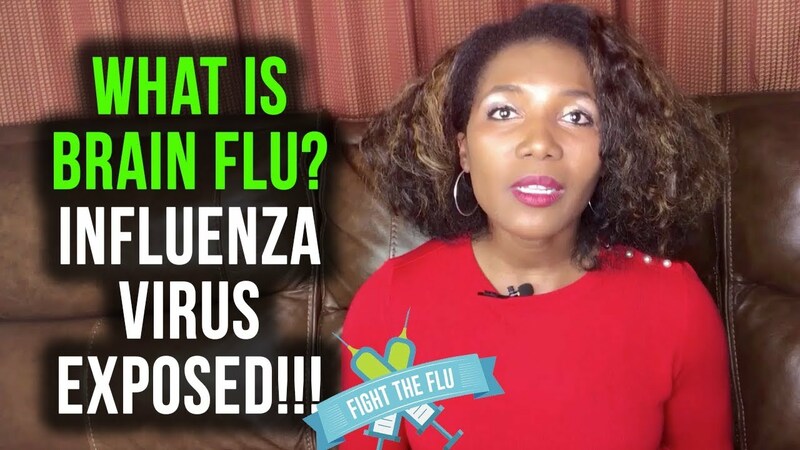 What Is Influenza On The Brain? If you've been watching the show Ready to Love as I have, then you have no doubt been pulled into the charming, humorous, genuine personality of one of the bachelors, Alexx. If you watch the show, you will see that Alexx looks like the picture of health. His mother recently announced, however, that Alexx was diagnosed with brain flu after being infected with the influenza B virus. Brain flu is a very rare neurological complication of the influenza virus. It can lead to an altered mental status and other neurological symptoms. 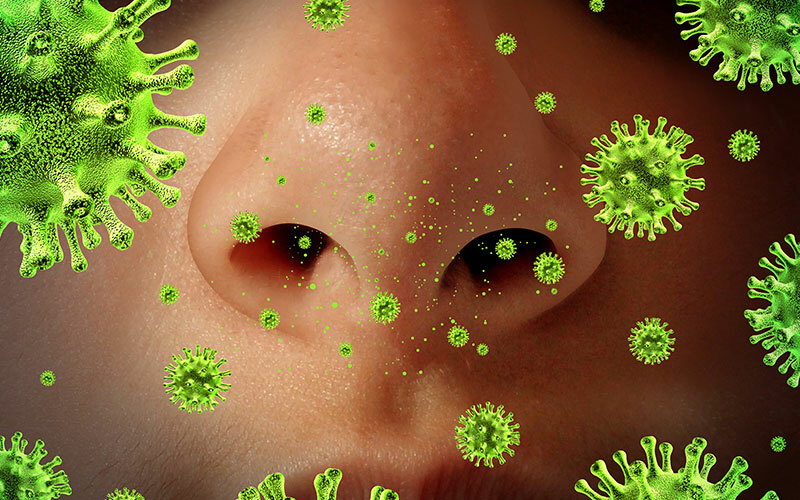 Influenza is a highly contagious virus, and it's most commonly spread during the winter months. So, in the United States, that's between November and April. It can be spread by respiratory droplets. So if someone who is infected with influenza coughs or sneezes and their droplets get on you, then you can be infected if you breathe them in, or if their infected droplets get on a hard surface or any other surface, then you can also get influenza that way. The symptoms include fever, headaches, chills, myalgias or muscle aches. In short, people who are infected with the influenza virus often describe it as feeling like they've been run over by a Mack truck. You just have severe body aches and it can be quite debilitating. Who is at risk for complications of the influenza virus? Well, children who are very young, less than six months, are at high risk. Also, patients who are older than the age of 65. 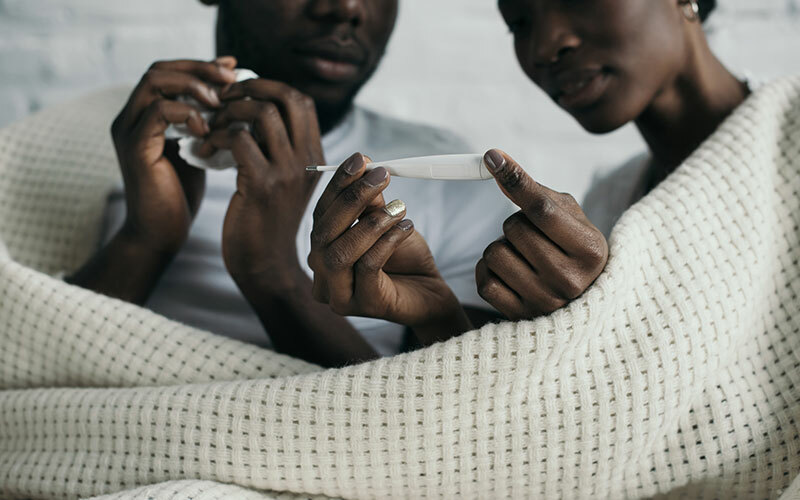 Pregnant women are at high risk for complications from the influenza virus, as well as people with chronic medical conditions such as diabetes, kidney failure, and asthma. Immunocompromised patients or patients on chemotherapy, for example, are also at higher risk for complications of the influenza virus. That being said, healthy patients can also develop complications from the influenza virus. What Are The Complications Of The Flu Virus? Pneumonia, or infection of the airways, is a complication. Also, myositis, or inflammation and pain of the muscles, can be a complication. Rhabdomyolysis is another complication of the flu, and this is when muscle cells are actually broken down, and you can actually develop kidney failure from rhabdomyolysis. Other complications of influenza include heart problems such as pericarditis, which is an inflammation of the sac that is surrounding the heart. You can even find that heart attacks can be associated with the influenza virus. Also, you can get central nervous system complications from the influenza virus, or brain flu. Some of the central nervous complications include Encephalopathy when you get an altered mental status or confusion, or encephalitis, where there's actually an infection or an inflammation of the brain. Aseptic meningitis is another potential complication of the central nervous system associated with influenza, and this meningitis occurs when there is an infection or an inflammation of the lining of the brain and the spinal cord. Even though the influenza virus can certainly cause meningitis, you can also get viral meningitis from viruses other than influenza, such as the enterovirus. On the show Married to Medicine, the ER physician, Dr. Aydin, actually shared that he was diagnosed with viral meningitis. Now with viral meningitis, you can get that by just being around someone who passes you a virus, whether they sneeze on you or cough on you, or if they're just in close proximity. If you develop viral meningitis, the symptoms usually consist of fever, a severe headache, as well as a stiff neck. Now with viral meningitis, in order for it to be diagnosed, you need to have a lumbar puncture or spinal tap, and that's to make sure that there's no actual bacteria involved. If indeed your meningitis is caused by a virus, then the treatment is simply symptomatic. You treat the symptoms, you make sure there's no fever, and the patient stays hydrated. Antibiotics do not actually help with viral meningitis. Antibiotics only help if there's a bacteria involved. Fortunately with Dr. Aydin, as we see in the episodes of Married to Medicine, he actually recovers from his viral meningitis, and we see that he's even able to host the party along with his wife, Mariah, Doctors on the Dock. So, that's beautiful and certainly, we pray for him and wish him the best. Well, the most effective way to prevent the influenza virus is through the influenza vaccination, or through the flu shot. There's influenza type A, type B, and type C. There's also bird flu and swine flu. So in addition to being vaccinated in order to prevent the flu, you also need to practice safe infection control measures such as washing your hands and covering your mouth when you sneeze. The flu vaccination can actually decrease your chances of getting influenza by 60 to 70%, and even by up to 80% according to some studies. By decreasing your chances of getting the influenza virus, you have now decreased your risk of getting these complications of the flu, and even death from the flu. It's interesting, we now live in a world where because we have had so many vaccinations and we've decreased the influenza virus, we sometimes forget that the flu actually does kill people, and it does cause major complications. Back in 1918, there was a major pandemic caused by the influenza virus, and 70 million people died. The influenza virus is very, very serious, and even though the flu vaccination is not perfect, right now, it is the best thing we have. The flu shot is the most effective way to prevent getting the flu. What Are The Recommendations For The Influenza Vaccine Or The Flu Shot? According to the CDC, Centers for Disease Control and Prevention, the influenza vaccine should be received by all patients older than the age of six months every year. The reason the influenza vaccine is recommended to be given every year is that the strains of influenza change. The manufacturers of the flu vaccine actually come up with the strains of the flu that are most likely to infect the population. They put these strains together in a manner in which they can be injected into patients so that patients can build up an immunity against the flu, therefore preventing catching the flu, preventing death from the flu, and preventing complications of the flu. Now, I encounter a lot of patients and friends who say that they just don't want the flu vaccine. And again, I do acknowledge that the influenza vaccine is not perfect. Some of the reasons I get for people not wanting the flu shot is they might say, Dr. Frita, every time I get the flu shot, it gives me the flu. Well, the flu shot does not actually cause the flu. For most people, the flu vaccine that they've received is a version of a dead flu vaccine that's injected into the muscle. Now, this flu shot can make you have flu-like symptoms. It can make you feel sick briefly, but that's just your immune system doing what the vaccination is supposed to make it do. It's your immune system starting to rev up so that you'll be able to defend yourself from influenza. But this brief sickness that you may get from the flu vaccine in no way compares to the illness you will have if you actually get the flu. By getting the flu vaccination, there is still a small chance that you can develop the flu, but if you do get the flu, guaranteed, your influenza illness will be milder, you won't get the same complications, and you are not likely to die from the flu if you get the flu shot. I have other patients who tell me that they don't get the flu shot because they've never gotten the flu shot, and they have never gotten the flu. Well, that's wonderful. That's absolutely lucky and blessed of them to have not gotten the flu. However, for people who are actually infected with the flu, it takes about two days before you develop symptoms. Now, if you're a healthy person and you get the flu, then you really may just have a mild course of the disease, and then you're fine. But imagine for those two days when you have no symptoms if you come in contact with a baby or an elderly person or someone with a chronic illness or someone who's immune compromised. You stand the risk of spreading the influenza virus to these vulnerable people, while you do well just because you're healthy. Another reason for getting the influenza vaccine could be to help to protect others. Basically, the influenza virus, or the flu, is a highly contagious virus that can cause complications like the brain flu, and it can even cause death, and right now, the best prevention we have against it is the flu shot. Make sure that you are well read, and consult your physician on whether or not you should get a flu shot. Just be sure to make an informed decision. Personally, I get my influenza vaccination every year. This ends my overview of what is brain flu? Influenza, the flu shot, and viral meningitis. If you've ever suffered from the influenza virus, or if you have an experience that you've had with the flu shot that you'd like to share, please comment down below. I want to hear from you. As always, I want you to prioritize yourself. Take care of you. Do your best to live your healthiest, happiest life.